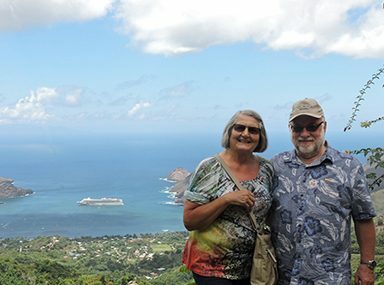 “We have traveled/cruised twice a year for the past six plus years and being in our senior years we ALWAYS purchase Travelex Insurance. While traveling with friends a few years ago, whom we encouraged to also buy Travelex Insurance, they experienced a medical condition which left them stranded in a foreign country for two weeks. Travelex served them well, very well indeed. We never thought that something like that would ever happen to us, but it did, just three months ago while in Sydney Australia in route to catch a cruise ship to New Zealand. My wife was hospitalized there for 10 days and underwent two surgeries; our American medical insurance was useless. If we had not had travel insurance the hospital wouldn’t have admitted her without a VERY large cash deposit. To make matters worse, our cruise ship left without us. – Val and Lynette C.